You probably already know that geocoding is the process of giving longitude and latitude values to street addresses. And reverse geocoding is the opposite – taking locations from a map and identifying their addresses. So when you feed a geocoding service a readable address, it puts a location on the map. Simple as that. But which geocoding services are available and most accurate? And are they free or paid? Which geocoding services work best? Recognizing spatial patterns using geocoded addresses for site selection and business analytics. Accepting spoken addresses for routing analysis with directions. Managing customer records and identifying where customers are located to better serve them. There are several geocoding services available both paid and free. We’ll list some of the best geocoders/address matchers which include QGIS, Google, HERE, and Esri. While most geocoding services come with a hefty price tag or credit fee, QGIS offers several geocoding plugins for free. And the best part about QGIS is that it’s open source licensed under the GNU General Public License. If you want to geocode addresses in bulk, then you should give the MMQGIS plugin a try. When you feed it a spreadsheet (CSV) containing multiple addresses, the plugin adds them to the map canvas as points. Alternatively, the GeoCoding plugin accepts just one address as input. After you type an address into the dialog box, it pinpoints that location on the map. Esri’s ArcGIS Online Geocoding Service is a paid service that requires credits to use. There’s a limited amount of addresses (250 or so) to can geocode at a time with a free account of Esri ArcGIS Online. But it’s a matter of getting your addresses in a CSV (name, address, city, state, zip code) and importing them as a CSV layer. ArcGIS Desktop has its own way to geocode using your own parcel or street data. Instead of consuming credits with the ArcGIS Online World Geocoding Service, you can create an address locator. This way when you type an address with the Geocoding Toolbar, it can pinpoint the location based on your inputs. Google Maps has become everyone’s favorite source for navigation, traffic, transit and location information. Behind the scenes, it’s because of Google Maps rich geocoded database containing millions of data points. And it’s as simple as typing a place in the address bar, and Google Maps will take you there. In order to use Google’s geocoding service, sign into your account at Google Maps. In your custom maps, add a CSV/XLSX layer or Google Drive file. 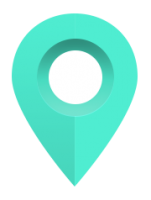 Google’s Geocoding service takes the address, city, state and zip code from the table, and plots out the latitude and longitude coordinates within Google Maps. Before you move forward, check Google Maps Geocoding API’s terms of service. This is because it is prohibited to display results outside of a Google Maps session. There’s been glowing reviews for the HERE Geocoding API because of its ease of use and batching efficiency. For example, HERE Maps Batch Geocode API can consume thousands with just their basic plan and plot out points on a map. In addition to simple geocoding, HERE maps supports multi-reverse geocoding, address ranges and fuzzy searching. However, the geocoding results from HERE maps cannot be used for private or internal use. Unless you purchase a business plans, their free results cannot be used for private usage. One of the best options in terms of accuracy and worldwide coverage is PBBI’s geocoding service. Using its cloud-based SaaS platform, users obtain highly accurate latitude and longitude coordinates along with an Assessor’s Parcel Number (APN). For example, companies like Facebook are embracing Pitney Bowes geocoding services because of its global high-precision. In turn, this helps Facebook deliver more personally customized content and advertisements to users. If you are working with US addresses, the US Census Bureau Geocoder has statewide address locators that work using TIGER line files. It’s less accurate but it allows you to geocode 1000 or more entries at a time for free. There’s also the US Census REST geocoder where you don’t need to download any data. This matches addresses to geographic locations using interactive and programmatic (REST) access. The restrictions for Bing is a bit less in comparison to the other paid options in this list. Bing’s geocoding API is a pretty decent alternative with a 1M limit of free geocode entities per year. As you can see, there are several geocoding services that identifies locations from addresses. And reverse geocoding works by taking map locations and assigning addresses to them. For example, the Geocoder Python library can also assist in retrieving addresses from lat long coordinates. Have you used any of these geocoding services? What did you think of them? For small runs involving names in the format of “City, State” or “City, Province” that I do not need to do that often, I use Bing. Recently I had done some encoding and ran into a problem trying to get the location of “Lead, SD”. The word “Lead” was being picked up as a keyword and would not resolve. Bing was very proactive on fixing the problem. For lookups that involve resolving the country and postal code in Node.js, I use OpenStreetMap with the nodeGeocoder package. Lookup is as easy as passing two properties named “country” and “postalcode” to a JSON object. And the best part is it is free and no API key is needed. Texas A&M University Geoservices offers direct access to the latest cutting edge research on geocoding, address parsing, normalization and standardization, and open source geospatial mapping and visualization. Proudly servicing 88K customers!